This is an IHRSA featured article, brought to you by HydroMassage. 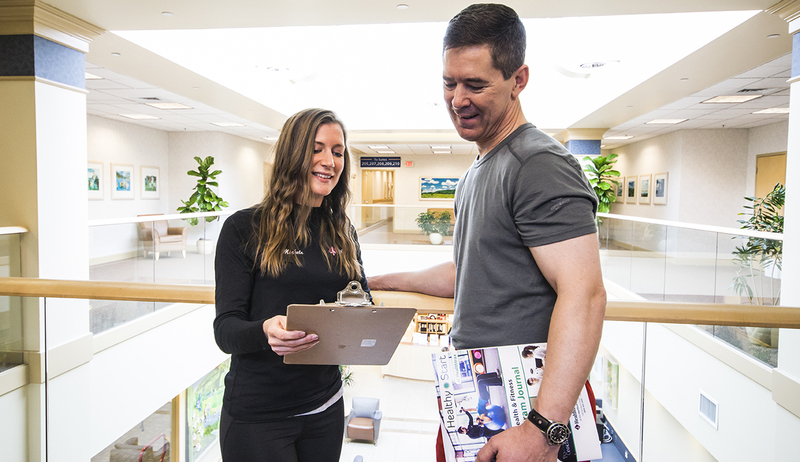 Adding extra wellness-based services to the core mission of health clubs has become more common, even for high-traffic facilities. This is partly to maintain a competitive edge, but it’s also a win/win strategy if it’s executed correctly. More services can create more value for the member, while adding significant non-dues revenue to the club’s bottom line. Club operators are offering a range of extras, including massage, infrared saunas, cryotherapy, stretching machines, relaxation pods, and nutritional supplements. Massage in particular was historically viewed as a service designed to pamper members, but industry experts view massage as a key aspect of a trend emerging that club operators should take seriously: increased awareness of overall wellness and exercise recovery. Kevin Sanker, general manager of Healthtrax Fitness & Wellness, a Connecticut-based chain with 18 locations around New England, says that recovery is an important—though often underutilized—aspect of overall wellness. Serious athletes, even professionals, understand the importance of recovery. Steve Saunders, head strength and conditioning coach for the Baltimore Ravens, makes exercise recovery a high priority for the players he trains. 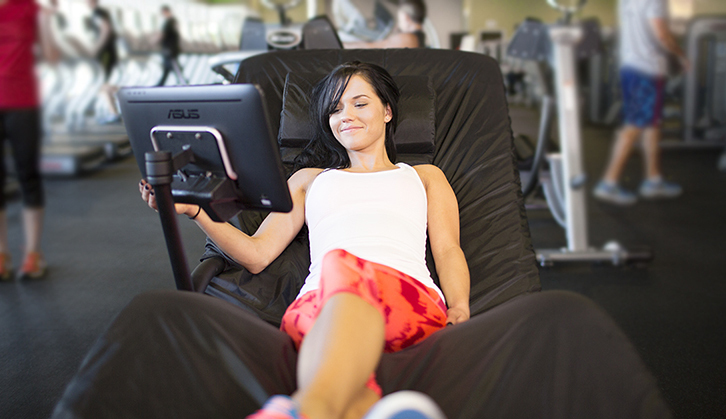 Healthtrax Fitness & Wellness offers plenty of ways a member can recover after a workout. There are multiple reasons why recovery is something clubs should address. Here are a few. The increase in functional fitness, heart-rate training, performance training, and HIIT (high-intensity interval training) for individuals and small group training is surging. And younger members are attracted to more intense training, with approximately 40% of CrossFitters between the ages of 24 and 34. While these training modalities offer tremendous opportunity, they also increase the risks for injury and overtraining syndrome. Wellness is a $4 trillion industry, the “new status symbol,” according to reports, and populations of all ages are tuned into holistic health therapies. Massage therapy was estimated last year to be a $16 billion industry. According to IHRSA research, Millennials are particularly interested in wellness-based services. The demand is there. Consumers are increasingly aware of their recovery needs through wearable technology. HIIT-based heart-rate zone training depends on a steady stream of data informing members of their physiological metrics. This self-monitoring will only increase, and along with it the demand for exercise recovery services to manage these health metrics. A woman lounges on a HydroMassage Bed. According to Business Insider, workplace stress costs employers $300 billion per year, leading to consumers forking over more than $13 billion on stress management, with that number increasing 10% yearly. If your club can offer stress relief services, you’ll get your members’ attention. This is one of those “doing well while doing good” advantages of operating a health club. Offering recovery services helps members avoid burnout and injuries, which keeps them motivated and returning to the club. You’ll also have created a new revenue stream. If your current recovery strategy is a couple of foam rollers, you need to think about upping your game. If you’re convinced you need to address recovery for your members, you need to find what works best for your club’s culture and space considerations. You may not have the budget for massage therapists or other wellness professionals, even after accounting for projection of new revenue. HydroMassage systems were first utilized in physical therapy offices and rehabilitation facilities, but now HydroMassage Zones are a central part of many fitness facilities. And they have cross-generational appeal, whether wellness, stress management, or recovery from intense exercise is needed. HydroMassage Beds and Lounges work for elite athletes as well. Saunders has them on hand for the Ravens players to use to recover from hard training. Healthtrax is wellness focused, with high numbers of families and Baby Boomers as members. According to Sanker, one reason that HydroMassage Lounges and Beds have been popular with members is their ease of use. For members, it’s money well-spent—a recovery service for overall wellness and stress management at a reasonable price point. To find out more about HydroMassage Beds and Lounges, visit their website or call them at 800-699-1008.